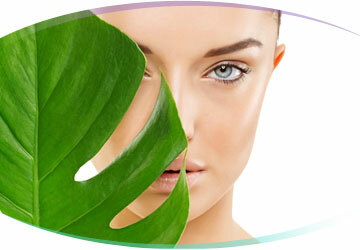 Looking for Best Botox in Los Angeles? With MyBotoxLA, you can rest easy. We’ve been performing Botox injections for 8 years. Los Angeles Botox patients keep coming back to our sunny Studio City office because they love the natural results they’re getting. Our team of expert providers always stays up-to-date on cutting-edge Botox treatment techniques. We’re proud to offer the most advanced Botox treatments available -- backed by expertise you can trust. When it comes to getting the ideal benefits of Botox injections, it’s important to feel comfortable talking with your provider. At MyBotoxLA, we understand that, and we’re committed to making sure you’re relaxed and confident every step of the way. Our clean, bright office is designed to be a welcoming safe space for all of our visitors. We keep it stocked with fresh-cut flowers, drinks, and snacks for your comfort. Friendly staff are available via phone, text, and email before or after your treatment. We want you to feel heard, and our skilled providers truly take the time to listen to your goals and concerns. We’ll work with you to create the perfect individual treatment plan to meet your needs. No pushy sales tactics, ever.
" What an amazing experience! The office and all the girls that work at My Botox LA are lovely. Yana did my Botox. But rather than just inject away she actually took my facial structure and facial symmetry into account before we both decided how much she was going to inject. The result is beautifully natural. I don't look frozen or fake. Just well rested and 10 years younger! I'll definitely be back!!! " "Great experience for a first time Botox patient! The treatment left me looking very natural (not frozen) as I had hoped. Yana spent a lot of time talking me through each part of the procedure so I was informed and comfortable. Also, the office was clean and contemporary and office assistants were terrific. I'm looking forward to future treatments." "I expressed how much botox was given to me by another dr last year, (which caused a dent on my forehead)and surprised at how little she wanted to place the botox on my forehead for a natural look. Omg 1 week later ! So natural and beautiful like she promised ! I guess i found my go to botox person. Thank you !" When you look great, you’ll feel more confidently you. In fact, Botox for men has become so common that it has its own name -- Brotox. 40% of people who come into MyBotoxLA for the procedure are male. Between social media and our youth-focused culture, many men find that Botox treatments can give them an advantage in dating and in their careers. It’s a quick, affordable investment in yourself with near-instant results. You get real results, fast. Botox treatment does what good skincare just can’t. You’ll see noticeable improvements within a week or two. People will notice, but they won’t know. After getting Botox, you’ll receive compliments from friends and coworkers about how happy and rested you look. Our professionals at MyBotoxLA know how to achieve a subtle, natural effect that remains discreet. It’s universal. Because it’s such a safe, simple procedure, Botox is a great choice for almost anybody. It’s versatile. Botox isn’t just for fixing frown lines. It can lift, shape, and contour for amazing results. You can customize the effect. Whether you’re looking for a subtle change or a transformation, your treatment plan can be adjusted to fit the bill. It’s convenient. Botox is so quick that some people call it the “lunchtime facelift”. Afterward, you can immediately go back to your typical daily routine with very few restrictions. It’s low commitment. If you aren’t sure whether Botox is right for you, don’t worry -- it isn’t permanent. If you don’t like it, the effects will wear off in a few months. You can use it preventatively. Botox can be used to stop aging in its tracks. Started early enough, it can help prevent lines and wrinkles before they begin forming. It’s easy. The procedure is mostly pain-free with barely any recovery time. No complex pre- or post-care instructions. It’s a safer option. Botox is a lot less risky than more invasive procedures and surgeries, while still delivering fantastic results. It has a proven track record. Botox has successfully treated millions of patients around the world for over 16 years. People think you look angry, sad, or tired, even when you’re not. You look older on the outside than you feel on the inside. Visible signs of aging are slowing down your career. You’re unhappy about your severe crow’s feet, frown lines, or forehead lines. You’re just starting to show signs of age and you want to slow it down. There aren’t any lines or wrinkles at all yet, but you’d like to prevent them. You want to fix a “gummy” or downturned smile. You want to refine your brow shape or position. You’ve considered liposuction around your jawline, but would prefer something less invasive. You have drooping or hooded skin around your eyes. You’re embarrassed about excessive body sweat. You want a fast, simple “pick-me-up” to refresh your appearance. A picture is worth a thousand words. To see what Botox can do for you, take a look at our gallery of satisfied MyBotoxLA patients before & after treatment. Botox treatments are fast and relatively painless with very little recovery time. Prior to getting started, your provider will consult with you about your cosmetic goals and any questions you might have. Because no two faces are the same, we’ll analyze your unique facial features to decide which areas to treat. The procedure itself typically takes about 10-15 minutes. The specialist will inject the Botox with a very small needle. Afterwards, you’ll be able to go back to most of your daily routine. You might experience some minor temporary bruising, swelling, or tenderness. Recovery is pretty simple, but for best botox results, our provider will give you some guidelines for what to do and what not to do after a Botox treatment. Avoid exercise of any kind. Stay upright. Bending over or laying down after Botox can cause it to move into an unwanted area. If the Botox migrates, it can cause your face to look crooked, droopy, or lopsided. No touching, rubbing, pressing, or massaging your face. Avoid wearing makeup on or near the injection site. Avoid blood thinning medications like aspirin or ibuprofen, if possible. If your medication is medically necessary, make sure to discuss with your provider prior to treatment. Do not apply heat to the area. This includes taking hot baths, getting into hot showers, and using saunas or hot tubs. Normal daily activity is okay, as long as it follows the guidelines above. Gentle touching of your face is okay, including applying makeup and skincare products. To reduce any swelling, you can gently apply an ice pack. Continue to avoid applying heat to the area. Laying down is okay, but it’s recommended to avoid sleeping face-down the first night. You can go back doing everything normally, including strenuous exercise. Call your provider if you see or experience anything unusual. This might include drooping eyelids or eyebrows, crooked expressions, or swelling that doesn’t go down. Call 911 if you experience anything potentially life-threatening, like trouble breathing or swallowing. Botox is an injectable solution that comes from botulinum toxin type A. Even though botulinum toxin type A is toxic in normal doses, the tiny amount used in cosmetic treatments won’t hurt you. How does Botox work? What does it do? Botox is injected into muscles under the skin. Wherever it’s used, Botox will essentially interrupt the communication between your nerves and your muscle. This keeps the muscle relaxed. Because it’s not contracting, the skin on top isn’t getting wrinkled. Patients generally say that the injection feels slightly uncomfortable, like a quick prick. If you’re concerned about pain, let our provider know -- the area can be temporarily numbed with a topical cream to minimize any discomfort. How long until Botox works? You’ll see the results begin to show within about 24-48 hours after the procedure. By 3-5 days afterwards, most of the Botox effects will have developed, although it can take up to two weeks for the treatment to take full effect. It has an excellent track record of being safe and effective. The FDA approved Botox for medical and therapeutic use in 1989. In 2002, it was approved by the FDA for cosmetic uses. Since it went on the market, Botox has been backed by over 15 years of clinical study and 495 peer-reviewed scientific articles. After the procedure, how long does it take for Botox to work? Your results will start to show up 24-48 hours after treatment and continue to take effect over the next two weeks. How long does Botox last before it wears off? Everyone’s body is different -- how often to get Botox will depend on what area was treated and your own unique biology. You’ll probably see the treated area start going back to its pre-Botox condition after 3-4 months. Are there any risks with getting Botox shots? Botox has been shown to be relatively safe. Like any procedure, however, there’s some amount of risk. Though they’re rare, there have been complications reported in a small percentage of cases. Most side effects are temporary and go away on their own. Make sure you tell your provider about any health conditions and medications during your pre procedure consultation. Botox Lips - Can you inject Botox in lips to make them plumper? Because Botox affects the actions of muscles in the face, Botox around the mouth can be used to correct “gummy” and downturned smiles. Botox does not add volume to the lips, however. For plumping lips and other areas of the face, our MyBotoxLA specialists prefer to use dermal fillers like Juvederm or Restalyn. Speak with one of our specialists to learn more about which treatment options are best for you. I have eyebags -- can you use Botox under eyes? Even though it’s used to treat muscles around the brow area, Botox is not recommended (or effective) for the delicate area beneath the eyes. To lift the undereyes, MyBotoxLA specialists prefer to use PRP or Belotero. Speak with one of our specialists to learn more about which treatment options are best for you. Dysport vs Botox -- which is better? How about Botox vs Xeomin? Since everyone’s body is different, some patients find that one formula may work better for them than the others. Most patients do not experience a difference. For more information, speak with your provider during your treatment consultation. Botox is made by Allergan, a large multinational pharmaceutical company. Allergan distributes Botox to 96 countries around the world. I only want to come in for Botox, is there a minimum? If you are only coming in for Botox injections we have a 20 unit minimum. If you are getting other treatments there is no minimum. For more information and in dept articles about Botulinum Toxin Injections please visit our blog.